Dalian Shipbuilding Industry Company Ltd. (DSIC) and the classification society DNV GL have signed an agreement on a joint development project (JDP) This seeks the development of ultra large container ships (ULCV) with 23,000 TEU powered by LNG, better known as Liquefied natural gas. The JDP focuses on delivering a design that is ready for construction and reflects the upcoming market trends and incoming regulations imposed by the IMO. 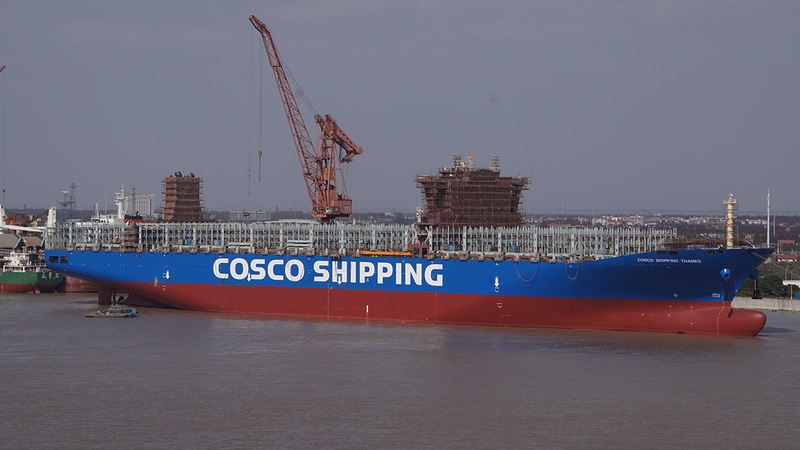 “By developing this new ULCV design powered by 23,000 TEU LNG, we will demonstrate that DSIC can deliver ships to the forefront of the market after two 20,000 TEU container ships were delivered successfully to the COSCO SHIPPING Group this year,” said Mr. Yang Zhi. Zhong. , President of DSIC. This is one of the two ways that containerized lines seek to mitigate their impact on the environment regarding the reduction of CO2, SOx, NOx and particulate matter emissions. The other alternative for existing vessels powered by heavy fuel or HFO is to install scrubbers in the funnel of the ship. However, these carry a burden of heavy cost including the maintenance. Finally, we are witnessing resounding changes in the maritime industry and a development towards transport sustainability which will reduce its negative impact on the world, Therefore we are heading to reveal the real value of things and not only the one that can be held in a bank.